In the lead up to the recent Salt Lake City mayoral primary, candidate Dave Robinson was heard to frequently chastise incumbent Mayor Ralph Becker for his "preference for litigation" in land disputes. Robinson repeatedly referenced the city's lawsuit that named an 80-year-old grandmother in litigation involving old mining property in Big Cottonwood Canyon. That grandmother, former schoolteacher Geniel Crawford, was surrounded by her family when she passed away in February 2015. They will remember her playing the piano and violin, and taking hikes with her grandchildren and great-grandchildren. At the time of her death, she was being sued by Salt Lake City for $500,000. 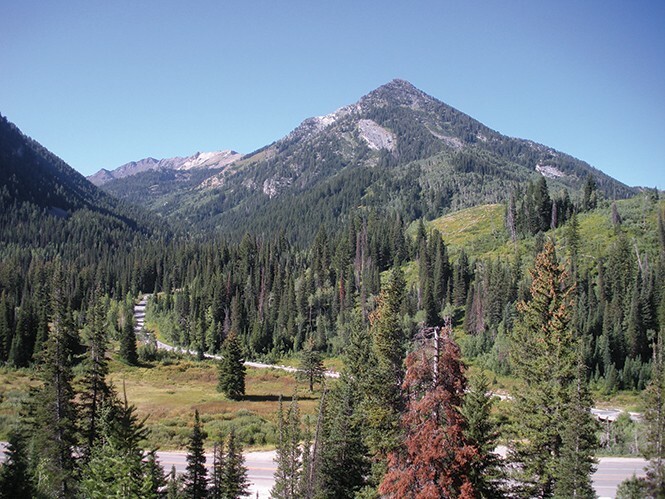 Up Big Cottonwood Canyon, a beautiful spot of land known as Argenta is made up of 320 acres of open space stretching from Kessler Peak down through the forest to Big Cottonwood Creek. Purchased by the Colonia Mining Co. more than 100 years ago, the mine was abandoned in the 1930s and reportedly has been left untouched since. For the past few decades, property taxes went unpaid to Salt Lake County, until Geniel's son, physician assistant Wayne Crawford, noticed the property and its unpaid taxes. He became interested in acquiring the land. Under Utah law, if the owner of land does not use or occupy it, another person may establish an ownership claim by using or occupying it openly, and paying taxes for seven years, under a concept known as "adverse possession." Crawford fell in love with the land and its history and, in 2007, began the adverse-possession process. To that end, he allegedly paid the $50,000 in back taxes to the county, and says he and his family hiked, picnicked and researched historical records of interesting places to explore on the 320 acres. They also put up a gate, roughly 50 "No Trespassing" signs, and removed some of the lumber from the mining company's old crop of lumber trees. Crawford says he also paid an additional $30,000 in property taxes over the next seven years, before filing a quit claim in 2014 to officially become the owner of the property. He also legally purchased the name Colonia Mining Co. in order to, he says, demonstrate that the original company was defunct. That's when Salt Lake City took notice. Salt Lake City owns roughly 27,000 acres of watershed land in the Wasatch canyons, and has set aside approximately $1.5 million each year to acquire more. When Salt Lake City found out about the property, Crawford claims the city contacted three former directors of the now-defunct mining company and offered to pay them $480,000 for the land if they would give the city authority in the contract to litigate on their behalf. The three former directors reportedly agreed, and Salt Lake City then launched a $500,000 lawsuit against Crawford, his company, his wife and his mother for fraud and trespassing. "They didn't just name me in the suit," says Crawford. "They also named my wife and my mother as co-defendants." Crawford said he believes his wife and 80-year-old mother were named in the suit specifically to intimidate him into immediately giving in. "His wife and mother were named because [Crawford] listed them as principles in the new company," says Salt Lake City Public Utilities Director Jeff Niermeyer, who affirmed that the city is interested in the property for preservation of watershed land. "What he did was create a company with the exact same name as a historic mining company, even though it wasn't that company." Niermeyer says the city believes that Crawford was deliberately trying to create confusion by setting up a new company with the old Colonia name, and then deeding the land to himself in order to create a "chain of title." That's when Crawford called on his friend, Dave Robinson (who would later announce his mayoral bid) and asked him to intercede with the city and negotiate a truce. Robinson says he reached out to deputy city attorney Rusty Vetter, but that Vetter refused via email to meet with him. Crawford says his plan was to have Wasatch Canyons Foundation purchase the land from him, and the foundation could then either turn it over to the U.S. Forest Service or obtain a conservation easement so the land would be preserved. Crawford said the foundation liked the idea, and a contract was drawn up agreeing to the purchase. Wasatch Canyons Foundation board member John Bennett says he and representatives from the Utah Department of Natural Resources and U.S. Forest Service met with Salt Lake City Mayor Ralph Becker, Vetter and Niermeyer to advocate for the proposal. "They started out the meeting immediately trying to warn us away from moving forward [with Crawford]," Bennett says. "Vetter said [Crawford] is committing fraud and should be in jail." Vetter vehemently disagrees with Bennett's recall of the meeting. "I absolutely did not say that," about Crawford, he said. Bennett says that the group pushed the administration to withdraw its suit so that the land could be preserved without any cost to the city—but while the administration liked the idea of it being preserved, and, in fact, that was their own goal for the land, "they didn't want to reward fraud." Not only did the city refuse to drop its lawsuit so that the foundation's purchase could move forward, the city also subpoenaed the foundation, its board and its advisory board for all emails mentioning Argenta, Colonia Mining Company and Crawford. One of those advisory board members happens to be former Salt Lake County mayor and current Utah Democratic Party Chairman Peter Corroon, who says he was extremely disappointed to receive the subpoena and with the city's apparent lack of interest in cutting a deal. "It seems like [the city] wants to spend more time on litigation then they actually do getting results," Corroon said. Crawford alleges that city officials continue to tell people he is committing criminal fraud. This, despite Niermeyer saying that they had been told by the Salt Lake County attorney that since there had been no harm, no criminal fraud was taking place, according to video clips provided by Robinson of Niermeyer's deposition. Crawford says he has now served Salt Lake City with a notice of intent to file a lawsuit for defamation. Meanwhile, Vetter acknowledged that there have been settlement discussions but they have not as yet been fruitful. Eric Ethington is a journalist, activist and researcher. He also works for Political Research Associates.